Relationship problems and divorce can lead to a variety of psychological issues including depression and anxiety. 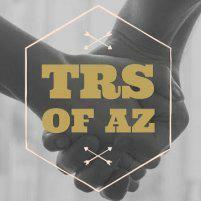 At Trauma Recovery Services of Arizona in Goodyear, Arizona, board-certified counselor Jordanna Saunders LPC provides counseling services to help you deal with the grief and negativity of a relationship breakdown. Call Trauma Recovery Services of Arizona or make an appointment online today for compassionate, personalized therapy. What are the psychological effects of divorce? Even if divorce is the best possible end for an unsatisfying relationship, you may still grieve the loss of your relationship and struggle to find your place in your newly single life. Even though divorce is common, you may feel like a failure or perceive negative judgment from your social circles. You may experience symptoms such as feelings of intense sadness, grief, or failure. You may rely on alcohol or other substances to self-medicate against these feelings or engage in dangerous or self-destructive behaviors to distract yourself from your feelings. How can counseling help me deal with my divorce? At Trauma Recovery Services of Arizona, Jordanna provides counseling services to help you process your thoughts and feelings about your divorce. She can help you let go of negative thoughts and self-perception and learn coping strategies for dealing with situations you find challenging or distressing as a divorceé. She may suggest cognitive behavioral therapy (CBT) to help you resolve distorted, negative thinking that’s impacting your emotions and actions. CBT is based on the principle that your thoughts control your feelings and behaviors, and that you can control how you respond to negative or distressing thoughts. For example, it’s common to fear that you’ll be alone forever after a divorce and fall into a spiral of sadness and self-neglect. CBT can help you to identify this thought as unrealistic and change the way you react, so instead of feeling sad and neglecting yourself, you take a more positive approach. You may choose to feel a sense of freedom and try new activities and hobbies to not only figure out who you are outside of your marriage but also meet new friends. Divorce can also trigger intense feelings of loss, which sometimes lead to lasting trauma symptoms. If you’re still struggling with negative thoughts or feelings, avoiding places you used to go with your spouse, or shared friends for months or years after your divorce, you can still benefit from therapy. Jordanna is a certified eye movement desensitization and reprocessing (EMDR) practitioner. EMDR helps you to reprocess traumatic memories into more manageable states to facilitate your emotional healing process. Can counseling help me save my marriage? Counseling can help you resolve psychological issues that can put a strain on relationships. It can also help you improve your communication skills including listening to your spouse and sharing your own thoughts and feelings. However, if both you and your spouse aren’t willing to work on your relationship, counseling isn’t a miracle cure for a troubled relationship. Jordanna provides counseling services before, during, and after your divorce to help you process your thoughts and feelings and adjust to your new lifestyle. Call her at Trauma Recovery Services of Arizona today or make an appointment online.